Looking for a weeknight craft project? 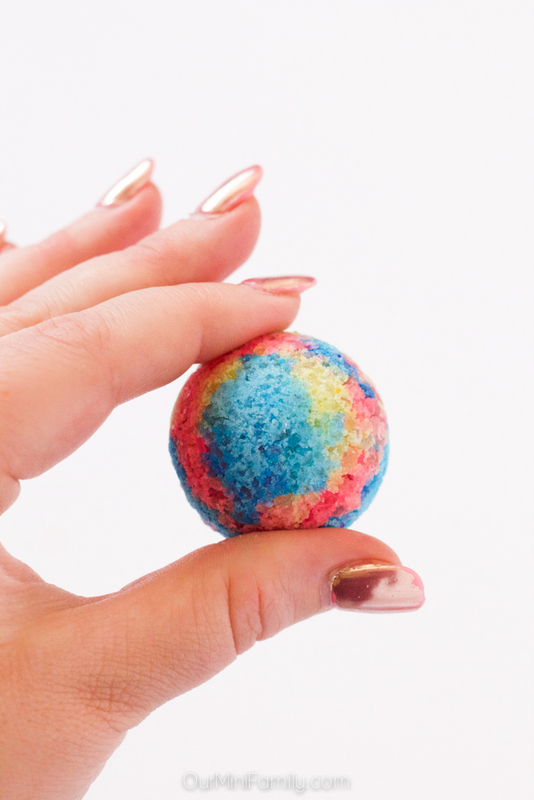 This DIY galaxy bath bomb tutorial is an easy and affordable craft project that doubles as a homemade gift idea! After being on the road and traveling all month long, Adam and I have felt too tired to leave the house to go on our normal date night to the movies or out to a bar. Lately, we've just felt like staying in at home and just relaxing. Last week, before our at-home date night, I told Adam I was going to do a quick craft project before our dinner to which he responded, "there is no such thing as a 'quick' craft project!" And then I proved him wrong! These bath bombs are so easy to make, and it only took me 10 minutes from the time I started to the time my mold was full and it was in the freezer! 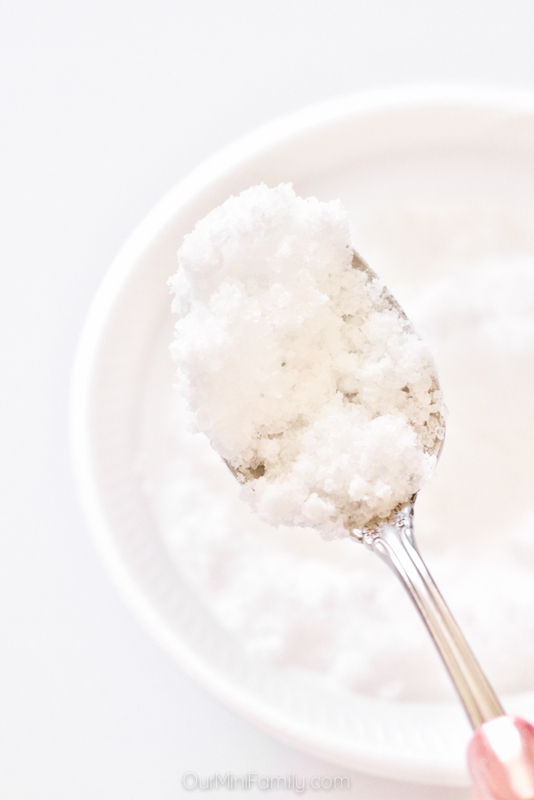 Mix the epsom salt and baking soda together in a bowl. Fill a spray bottle with the water and lemon juice and shake well to mix the two together. Spray the mixture onto the epsom/baking soda mixture and mix. The texture should resemble wet sand--if it's too wet and looks more like mud, add in more epsom salt and baking soda in equal parts. 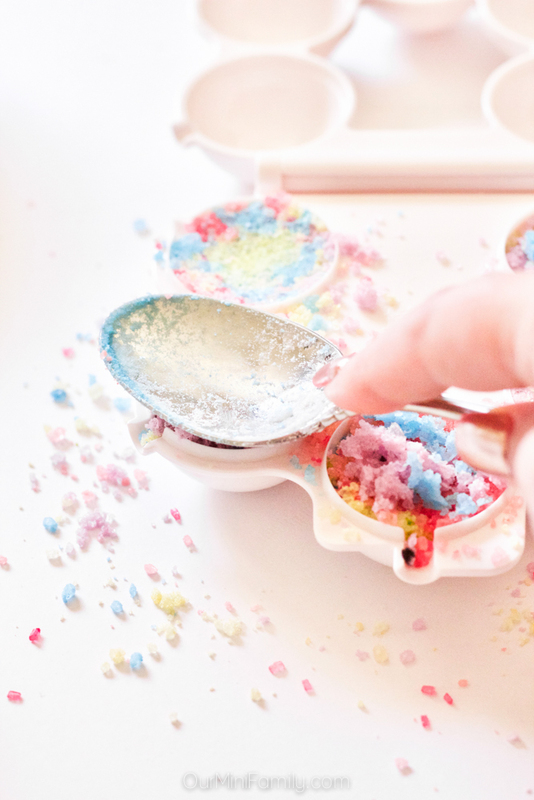 Fill a few bowls with equal amounts of the wet epsom/baking soda mixture (one bowl for each color used). 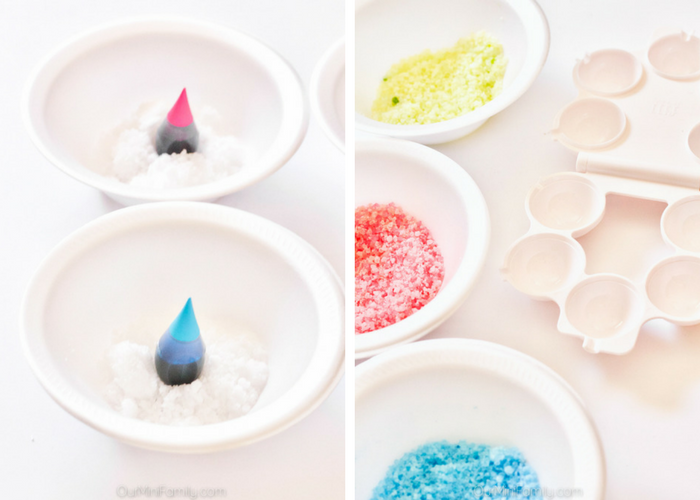 Place 1 drop of food coloring into each bowl and mix well. 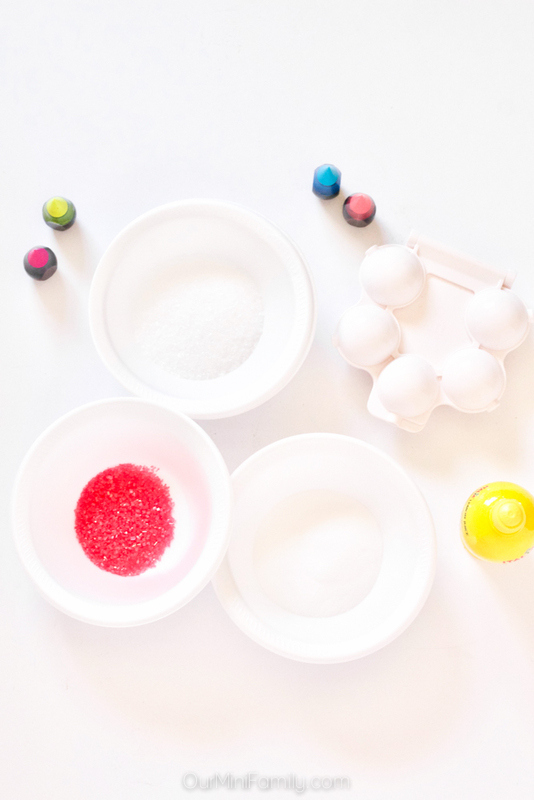 Use a non-stick sphere mold and fill the mold with a little bit of mixture of each color. You can use a toothpick to mix all of the colors together. Make sure it's packed down tightly, to ensure the bath bomb hardens and doesn't fall apart once it dries (I use the backside of a spoon to do this). Set the mold aside and store it somewhere cool (you can put it in the refrigerator or even the freezer to speed up the process). Once the bath bomb has hardened, you can store it or use it immediately. I like to put them in small treat bags (I found mine at Target) and give them out as gifts and include them in gift baskets! These bath bombs are perfect to make in batches and can be stored for months at a time. I like to make them and include them in gift baskets! 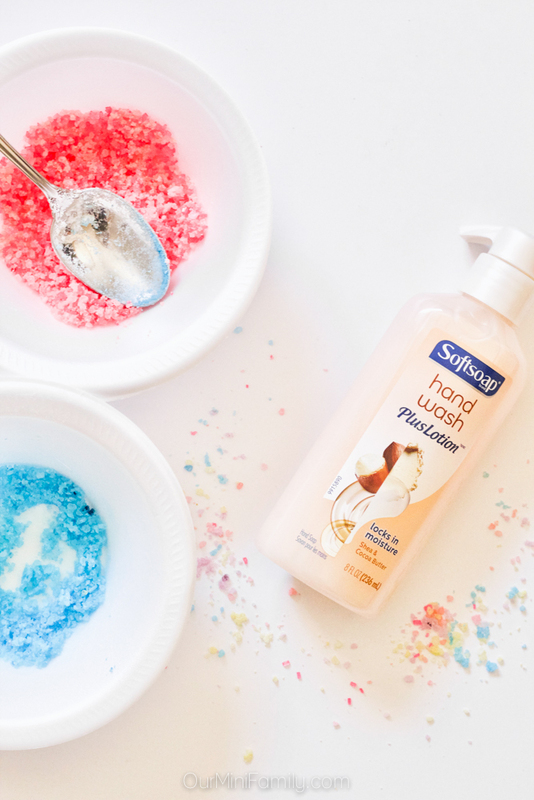 They are especially wonderful for any sort of spa day-inspired gifts perfect for holidays, along with gift basket items like plush robes, fancy loofahs and sponges, and bath products like SoftSoap® Hand Wash Plus Lotion™ from Target! 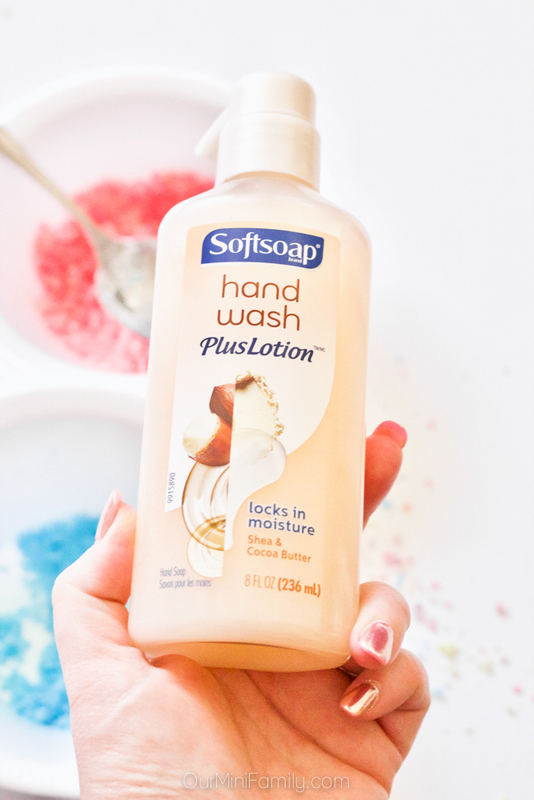 SoftSoap plus lotion is perfect to keep around if you're into crafting and DIY tutorials. After I make my own bath bombs, I always end up making a bit of a mess and my hands usually get dirty from touching the epsom salt, baking soda, and food coloring. Shop for SoftSoap plus lotions at Target, and try all three of these scents including Shea & Cocoa Butter, Aloe Water & Lime, and Orchid & Coconut Milk. 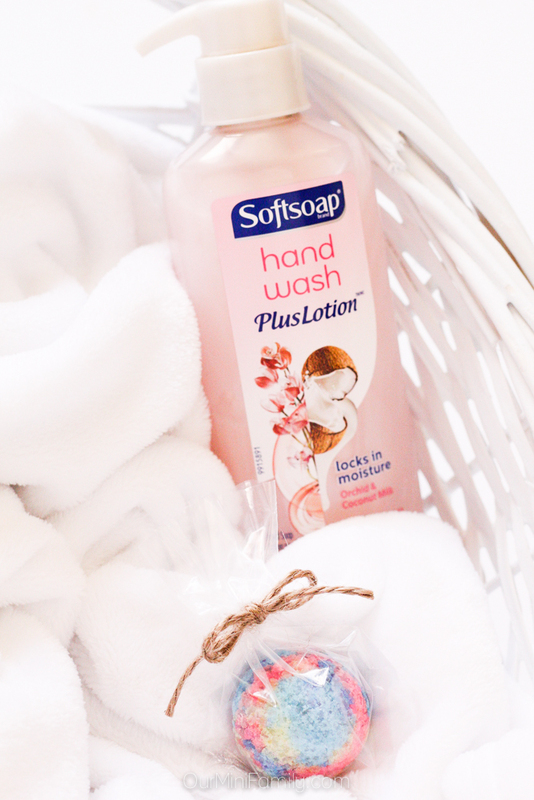 They'll leave your hands feeling clean, soft, and will lock in moisture for soft feeling hands even after multiple hand washes. Don't forget to save this tutorial to Pinterest! Shop at Target for everything you need to complete this tutorial! How fun are those?! What a great little diy project and makes a great gift! I love bath bombs! Never realized how easy they are to make. Those are so pretty! Totally pinning this to try it. These are so fun and turned out so pretty! I like how easy they are to make, too! Love those little molds you have! Wow...I am stunned. First, didn't realize these were so easy to make, and secondly, that they don't cost an arm and a leg. Definitely going to try this. Thanks for sharing. This looks like so much fun! 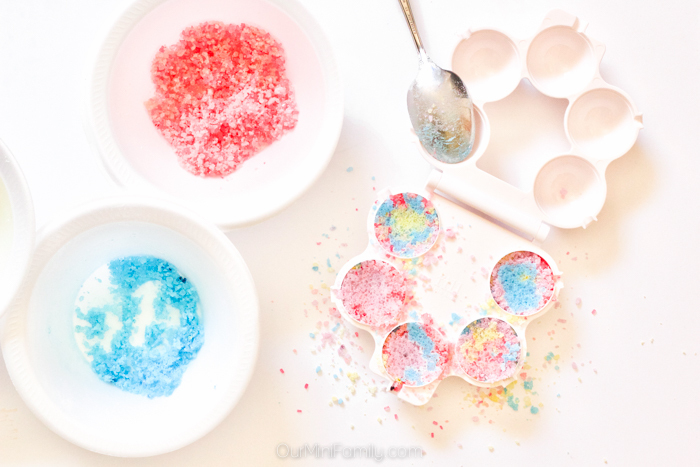 I had no idea it was so easy to make bath bombs! These look like a fun activity! They are adorable and seem easy to make!